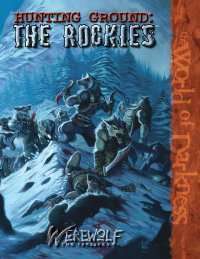 Hunting Ground: The Rockies details the Colorado Rocky Mountains as a setting for Werewolf: The Forsaken™. This book comes complete with characters, background information and huge numbers of plot hooks, as well as a long look at the spiritscape of the region. Play through the sample story provided, or any of hundreds more possible. Make this land your own. This title was added to our catalog on April 18, 2005.